Traditional aesthetic doesn't always have to be grand in scale or accent to achieve a timeless look. 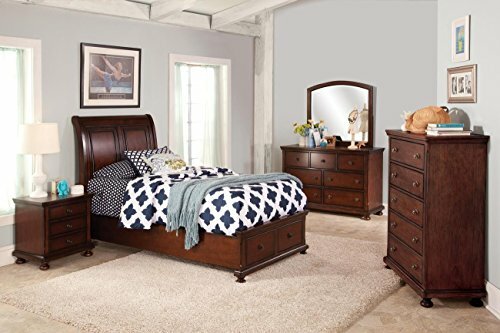 The Jensen Youth Collection takes the form of traditional case pieces and utilizes a brown cherry finish and understated knob hardware to create a bedroom style that can range from casual to formal. A sleigh headboard and footboard, panel detailing, and bun feet give this bedroom set an inviting character.